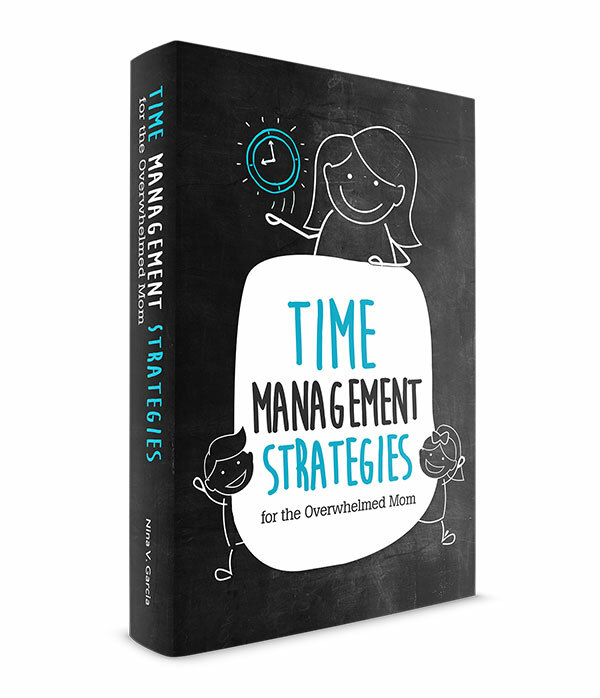 Responsibilities are an more effective way to teach ownership and accountability. Learn the difference between rules and responsibilities. “At camp, we don’t have rules,” my then-five-year-old told me. He attended a summer camp that promoted free play and choice. Staffers allowed them to roam and decide which activity they wanted to do, from bread making to dance. I loved this model and appreciated that the camp encouraged self-initiative and decision-making. I understood the benefits of free, independent play and the ability to make their own choices. I was intrigued. I then created ‘what if’ scenarios with my son. I wanted to see if these four responsibilities could take the place of rules. “What if someone hurts another child?” I asked him. “Well, what if someone made a mess? Don’t they have a rule for keeping things in order?” I challenged him. You can see the switch from ‘rules I must follow’ to ‘responsibilities I own.’ Rules limit—you can’t do this, you must do that. Responsibilities encourage kids to rise above and meet higher expectations. Since that conversation, I’ve been more mindful of the difference between rules and responsibilities. It’s not a bad word or something we need to drop from our language. After all, rules do exist and serve a purpose. But I started saying ‘responsibilities’ instead to see if the word could take its place. And who knows, make a difference in how I communicated with my kids. And when another stood on the dining bench, I said that wasn’t being responsible for keeping safe. Switching from responsibilities to rules held my kids more accountable. Rather than clean up at the end of the day because that’s the rule, my kids own the responsibility to doing so. No longer do they clean up because of these strange rules they must follow. Instead, they do so because of the responsibilities we expect them to do. At this point, my kids at two- and six-years-old are old enough to bear responsibilities. They carry their dishes to the sink. They place dirty clothes into the hamper and know better than to treat one another without respect. And they understand the importance of taking care of their belongings. With rules, they follow, sometimes without understanding why. With responsibilities, they lead. They own the task and know what’s expected of them. 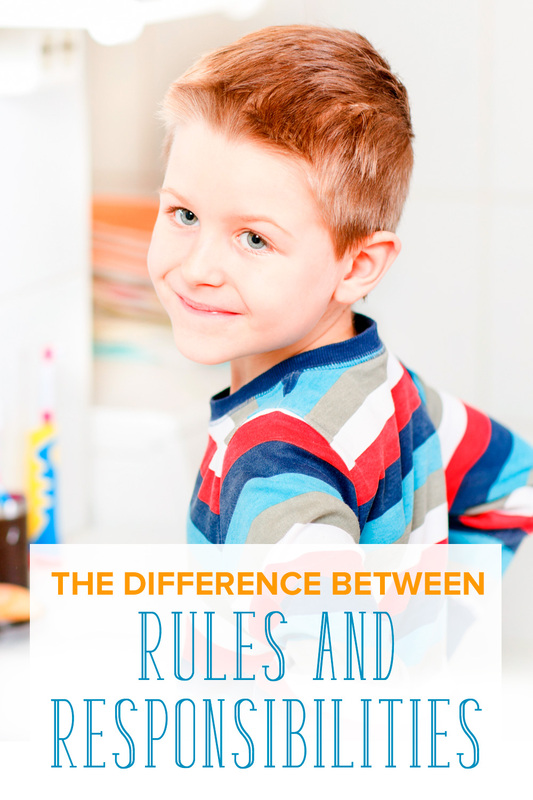 Tell me in the comments: How are you differentiating between rules and responsibilities? Ah, I find that intriguing! I’d love to be a fly on the wall at school and see which “r” word is used most. All I can know is how we use words at home. I like responsibility over rule. Isn’t it kind of cool? I’m not going overboard with it but it does give you a new perspective. Makes you see that they have their own responsibilities as well, and that they’re not just following a bunch of rules they don’t understand. Such an interesting approach. I really love it. Encouraging “responsibilities” appeals to children’s desire to be helpful instead of just rule-following robots. I may have to experiment with that approach! Leslie I’d love to hear how the experiment goes! So far I’ve only done it but it’d be great to see how other families take to it.